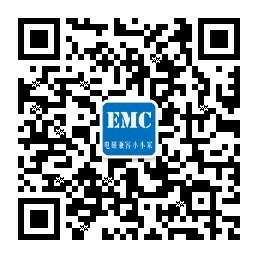 电磁兼容小小家电磁兼容(EMC)资讯行业新闻与资讯IEC61000-4-5 2014与2017差异说明IEC61000-4-5 2014与2017差异说明IEC61000-4-5 2014与2017差异说明IEC61000-4-5 2014与2017差异说明 Re:原文昨日发布于网站同名微信公众号，拉到最后可以扫描二维码关注2017版，AMD1最大的差异就是添加了了关于DC输入的产品的定义与说明。这个问题 ...amo - Powered by Discuz! The method for testingDC products in the current revision of IEC61000-4-5 is causing many fieldrelated problems for test labs and manufacturers. Many products will not powerup through the power CDN in the standard and in some cases may be damaged bythe inductance that is necessary to apply the surge (see 77B/734/DC for furtherinformation).The DC./DC converter problem is related to the switching of theconverter which produces a voltage drop at the decoupling inductors on one handand oscillations produced by the EUT impedance in combination with the sourceon the other hand. Measurements were performed using different brands of CDNswith a device known to show that problem as an EUT. The result shows differentoscillations and signal forms of the voltage at the EUT for different CDNs.According to the outcome, the use of a CDN with a higher current rating (i.e.smaller decoupling inductivity) can solve the problem. At the meeting ofSC77B/MT12 in Akishima, Japan on August 26, 2016, it was decided to add astatement into 7.3 allowing surge tests with higher current rated CDNs and toadd a new Annex I to explain the problem in detail. width modulation) techniques, the input current of these supplies is becoming a complex waveform actually containing many frequencies and their harmonics (due to the square wave nature of the pulses). As a result, the decoupling inductor, through which this current flows to its source, cannot pass these rapid changes in current. Its high reactance to these high frequency transitions causes the voltage supplied to the EUT to drop instantaneously. Because the EUT supply has little capacitance to ‘hold up’ voltage to its loads, its output voltage drops. This can cause the load equipment circuitry to stop working or to perform erratically. The DC/DC supply has rapidly responding circuitry so it immediately attempts to draw more current from its source. It would change its PWM (duty cycle) to increase current from the source. This change effectively changes the frequency of the chopped current through the decoupling inductor which can further reduce instantaneous voltage to the EUT or increase it depending upon frequency effect of the PWM, and the cycle starts over again. Another issue for active DC/DC converters is that the presence of an inductance between the DC power source and the DC/DC converter input can cause self-oscillations due to the dynamic voltage/current ratio of the input signal. dI/dV is negative for small excursions from the nominal voltage, and for some converters this in combination with the gain/phase properties of the converter control loop can cause unwanted self-oscillation. The stability margin of the DC/DC converter in combination with the surge CDN is in general not known by the testing laboratory. While the switch to EUT power supplies is evolving to employ more energy efficient DC power inputs to such telecommunications EUT equipment, test laboratories should acquire DC power supplies to supply power to the inputs of the CDNs used for compliance testing to power up those EUT products. Modern technology has also changed the world of laboratory DC power supplies. Today these supplies also use switching mode technologies and have very sophisticated circuitry employed to keep their output voltage and current constant under a variety of changing loads while also reducing wasted energy in the form of heat, unlike the aging linear power supply technologies. This circuitry can pose a problem when powering up devices having DC/DC converters on their inputs due to the changing current and complex current waveforms caused by the switching frequencies of those DC/DC converters. The DC source supplies might not be able to cope with such rapid changes in load. Also their output impedance, when coupled to the CDN decoupling inductance and load inductance of the EUT, could make them susceptible to oscillation. Additionally, many of these DC supplies cannot tolerate or cope with the effect of any residual surge impulses passing through the decoupling network and can be damaged. Test engineers should really study and understand the limitations of such supplies as used for compliance testing to ensure their suitability for such applications. If a cause has not been found for the EUT not to power up through the CDN, the next step is to determine if the issue is due to the decoupling inductance limiting voltage to the EUT or whether the source DC supply is unable to maintain its output voltage, is oscillating or a combination of both. These are not always simple tasks to determine. Simultaneously viewing the input voltage and line current to the EUT with a dual channel oscilloscope can reveal whether there are oscillations or switching frequency spikes affecting the input voltage to the EUT. It is essential to have knowledge of all switching frequencies of the EUT supply as well as its minimum and maximum input voltage levels. If the waveform is complex (containing numerous frequencies at different amplitudes) suspect contamination from the DC source supply, such as its own switching frequencies and noise generations. Often it is required to eliminate sources of frequency contamination one step at a time, such as changing source DC power supply or even eliminating source DC supply by substituting storage batteries (e.g. automobile batteries work well)to attain the proper input voltage and current ratings. If the issue is an oscillation and believed to be caused by the decoupling inductance, then inserting a resistor-diode circuit in series with the source input to the CDN as shown in Figure I.1 can dampen or eliminate the oscillation. If it is damped enough so that the voltage does not exceed the EUT DC/DC power supply’s minimum and maximum tolerances, then this should be sufficient to allow the EUT to power up and to perform the surge testing. As every EUT supply and source DC supply is different, it requires some intelligent experimentation to attain the optimal value of resistance for the optimum damping. Being placed on the input to the CDN, this circuit will not affect waveform parameters as specified in this document. Sometimes changing to a larger current-rated CDN (with lower decoupling inductance) is needed in addition to adding the damping circuit shown in Figure I.1. 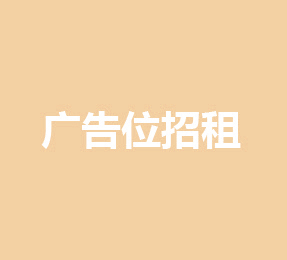 GMT+8, 2019-4-20 11:21 , Processed in 0.091637 second(s), 24 queries .